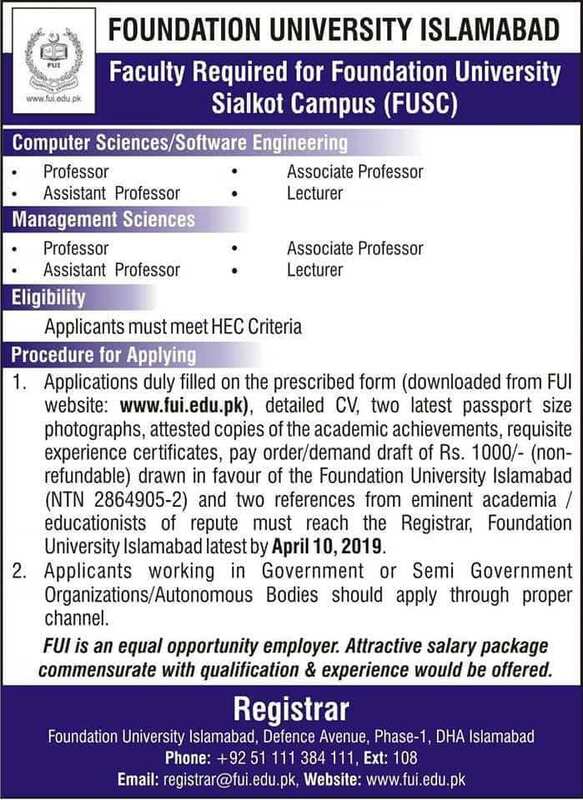 Foundation University Islamabad Sialkot Campus Jobs 2019 Faculty Required. Applicants must meet HEC criteria. ii. Applicants working in Government or Semi government organization/Autonomous bodies should apply through proper channel. The application form can be downloaded from the Foundation University Islamabad FUI website www.fui.edu.pk. The Last Date to Apply is 10-April-2019. View Foundation University Islamabad Campus Jobs 2019 Medical Faculty Required.